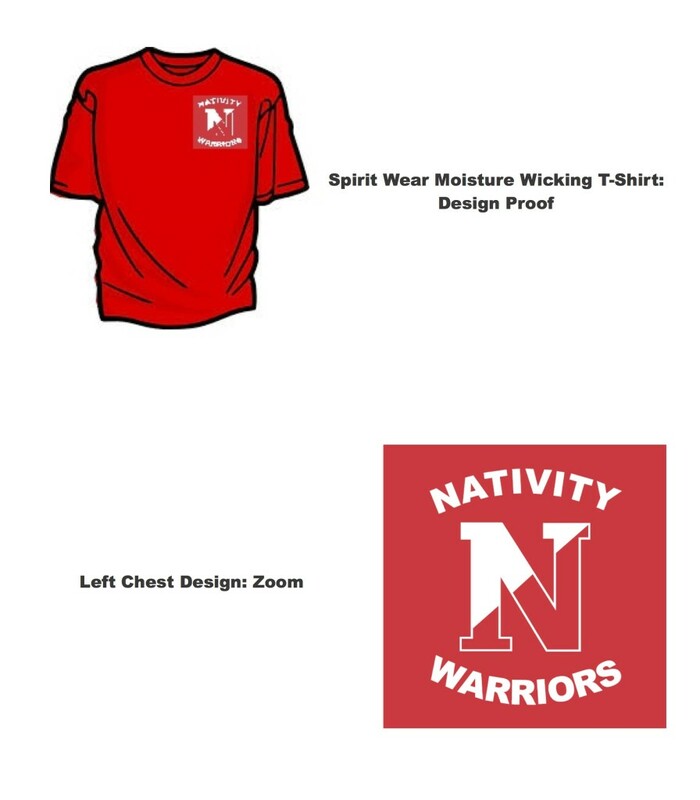 This year, to kick off “Catholic Schools Week” and the “Joe DeMarco Annual Basketball Tournament”, we are selling Nativity Spirit T Shirts. The shirts are short sleeve dry fit with the Nativity logo on the upper left corner. The cost of the shirts are $15.00 and checks should be made payable to Nativity HSA. We are encouraging students and parents to purchase shirts and show their SCHOOL PRIDE during these very exciting 2 weeks. Orders placed before Christmas break will be delivered the week of January 5, 2015. Students will be allowed to wear their SPIRIT T SHIRTS with their school uniform EVERY Wednesday in January to show their NATIVITY PRIDE!